Before her fans watch her take on her next role alongside Prince Harry, they'll want to watch these scenes. Millions of viewers around the globe will tune in on May 19 to watch former actress Meghan Markle take on a new role, as a member of the British royal family. But before fans watch her swap vows with Prince Harry, they may want to take a look at some of her earlier roles. Sure, they've seen her on the hit series "Suits." And we've already offered up closer looks at her childhood appearance on a '90s Nickelodeon news program, her past recurring spot as a case model on the popular game show "Deal or No Deal," and even her adorable turn as a queen in an old home movie. So what's left? These memorable moments from her career on the big and small screens! Markle's role in the dark comedy "Horrible Bosses" was a blink-and-you'll-miss-it appearance, but trust us, it's worth keeping your eyes open for her 30-second scene. The actress played the part of a FedEx delivery woman who Jason Sudeikis' character refused to believe was actually a FedEx delivery woman. The problem? He dubbed her just "too cute" for the job. Several years before she took on the "too cute" part in "Horrible Bosses," Markle mastered another brief scene in which she was credited simply as "hot girl." In "A Lot Like Love," Markle appeared on an airplane seated alongside Ashton Kutcher's character and that of Kal Penn, who attempted to gain her attention with his charisma and high-dollar talk. But as the above scene shows, she had no shortage of charisma of her own. Viewers who want the chance to see more from Markle than a comedy cameo or two should check out her made-for-TV romantic comedy "When Sparks Fly." The Hallmark Channel flick sees a softer side of the actress as she takes on the lead part of Amy Peterson, a journalist working in the big city who rediscovers the appeal of rural life — all while rediscovering her old boyfriend back home. Before the star knew that she was bound to become a member of the British royal family, she paid London a visit to film the gritty crime drama "Anti-Social." In the tale of two brothers whose lives are divided by street art and high-stakes jewel heists, Markle plays leading lady Kirsten. She has one brother's heart in the story, but one look at her intense and at times fearful performance in the trailer will leave fans wondering if she has his loyalty. Markle's romance with Prince Harry began in 2016, after a mutual friend set them up on a blind date. But that wasn't the only big event in her life at the time. 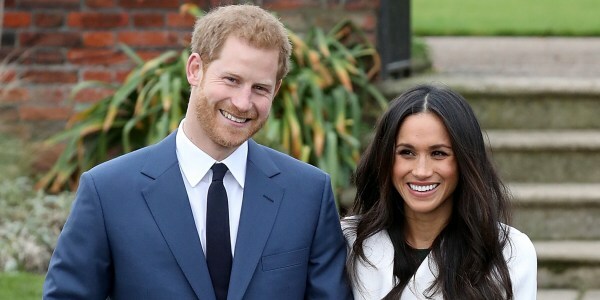 She starred in the final TV movie of her career that same year with the Hallmark Channel's rom-com "Dater's Handbook," which sees Markle torn between two loves and resorting to a self-help tome to sort it all out. Of course, when it comes to real love, she doesn't need any help at all.